The Fluke 87-V Digital Multimeter is one of the most widely used meters in HVAC. It has gone through a series of upgrades through the years after being first introduces in 1989. Yes the first version of the 87-V were sold in 1989. Of course much of the electronics has been upgraded through the years with newer versions only getting better. There are HVAC technicians using the same 87-V for twenty plus years with the only problem being that after twenty so years of use the symbols on the buttons wear off. After so many years of use and so many technicians loyal to it would be hard to go wrong with buying a Fluke 87-V for use in HVAC. It is notoriously tough and able to handle falls, bangs, and hits and keep working. Possibly its only downfall may be the price. Since it is such a high quality meter the price matches this, and for someone just starting out in HVAC and possibly not making it a long term career this may not be the best choice. For those unsure about a long term career then a cheaper brand model would most likely be best for you but for those that are here to stay with HVAC you really can’t go wrong with the Fluke 87-V. 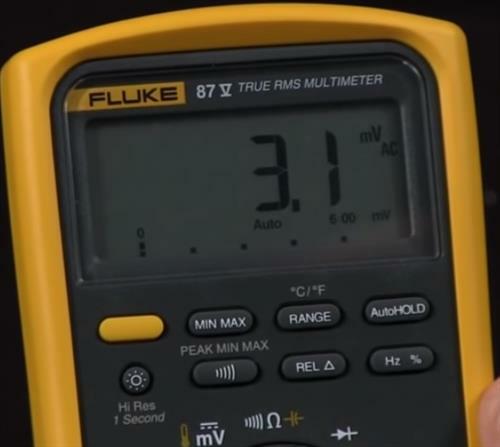 Here are some videos showing what the Fluke 87-V Digital Multimeter is all about.